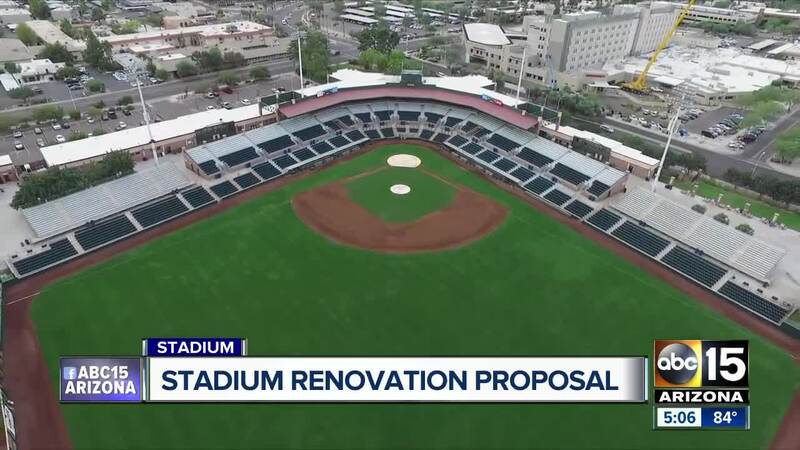 The city of Scottsdale has announced it is working with the San Francisco Giants and nonprofit group Scottsdale Charros on a series of proposed renovations to the city-owned Scottsdale Stadium, the Giants' home during Cactus League play. The construction contract required to begin renovations is set to be discussed by the Scottsdale City Council on Tuesday. The first phase of the plan includes a new building that will be used as the Giants' team clubhouse during spring training and a multi-use facility during the rest of the year. The plan also includes a total renovation of the main entry plaza, additional shade in right field and modification to the left-field berm areas. By the 2018/19 Tourism Development Fund carry-over undesignated, unreserved fund balance ($5.0 million); from a contribution from the San Francisco Giants ($2.5 million), and from Municipal Property Corporation (MPC) Bonds that will be issued with the debt service payments supported by an annual allocation from the Tourism Development Fund and capital contributions from the Giants and Charros ($15.9 million). The second phase of the proposal includes an extended deck area off the left-field berm, as well as expanded shade. The city and the Giants will reevaluate those plans after the first phase is completed in February. If approved, construction would begin in April. "For the past two years, Scottsdale and the Giants have developed a detailed master plan for the stadium and a cost sharing strategy to complete the construction of phase one and address maintenance and upgrades moving forward," Scottsdale public information officer Holly Walter said in a statement. Scottsdale, the Giants and the Charros are also negotiating the expansion of the current agreement that governs use of Scottsdale Stadium for spring training through 2025. A new proposal would extend that agreement through at least 2044. The city council will discuss the new agreement when negotiations are complete. Located at 7408 E Osborn Rd., Scottsdale Stadium has been the Giants' home Cactus League ballpark since 1992. It also hosts the Scottsdale Scorpions of the Arizona Fall League, as well as the Arizona League Giants, a Rookie League team. The most recent series of renovations to the stadium took place in 2005.